Minneapolis - After four wonderful years and four Ramadan holidays (2013-16) spent in Morocco, I spent Ramadan this year in my hometown of Minneapolis. The “Twin Cities” of Minneapolis and Saint Paul are home to 3.7 million people. And they are rapidly changing. Minneapolis – After four wonderful years and four Ramadan holidays (2013-16) spent in Morocco, I spent Ramadan this year in my hometown of Minneapolis. The “Twin Cities” of Minneapolis and Saint Paul are home to 3.7 million people. And they are rapidly changing. Rooted in a heritage of 19th century Scandinavian, Irish, and German immigration — as well as the Native American population — the Twin Cities region is now home to increasing ethnic diversity. Home to the largest Somali immigrant population in the United States, more than 40,000, there are also significant populations of immigrants from across the Middle East, North Africa and South Asia region. 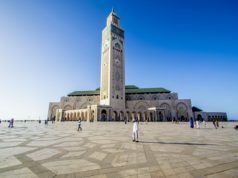 Having experienced Ramadan in Morocco, I admired, as a non-Muslim, the charity and humility of what I had experienced throughout the kingdom, big city to small town. During the two years I lived outside Errachidia, my neighbor, Hassan, always invited me into his home to break fast with his family. 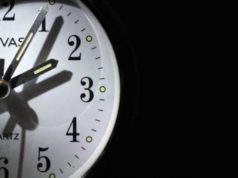 The sense of personal discipline; a mental and spiritual focus that fosters inner serenity while creating a level of upheaval to the daily routine. It resonated with me. 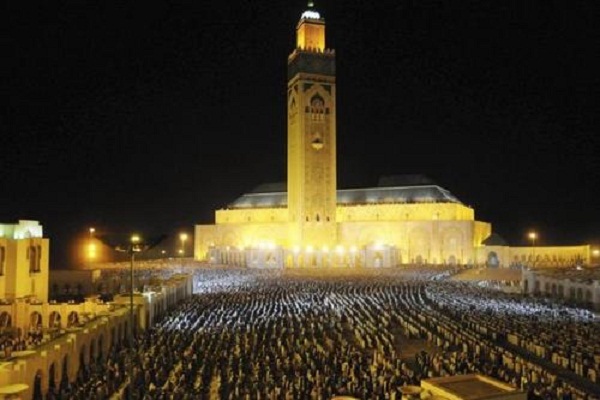 And now visiting my Midwest hometown, Ramadan has presented the opportunity to renew my deep affection for the sacred holiday along with the opportunity to discover Ramadan far from the Kingdom of Morocco. 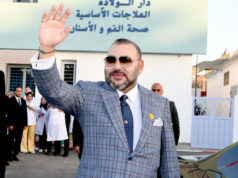 Happily, I have discovered some new Moroccan friends, inter-faith collaboration and understanding, as well as a greater personal appreciation for the great geographic and cultural diversity of the Islamic world. This year, local Islamic organizations and Muslim faith groups collaborated with neighborhood associations to host community iftar dinners throughout the Twin Cities. An opportunity to share food, friendship and faith, the community iftars were open to all members of the public. I happily participated in three. – The Iraqi and American Reconciliation Project (IARP) sponsored a community iftar for nearly 100 Iraqi-American immigrants and supporters in the Twin Cities. 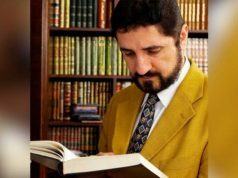 Locally based IARP supports arts, culture and humanitarian projects to build bridges of understanding between Iraqis and Americans. An IARP board member told me that the attendance this year was nearly double that of a similar iftar dinner in 2016. The discussion around our table centered on the value of meals to create stronger bonds within families and among neighbors. In 2009, the organization facilitated the creation of a Sister City relationship between Minneapolis and Najaf, Iraq. 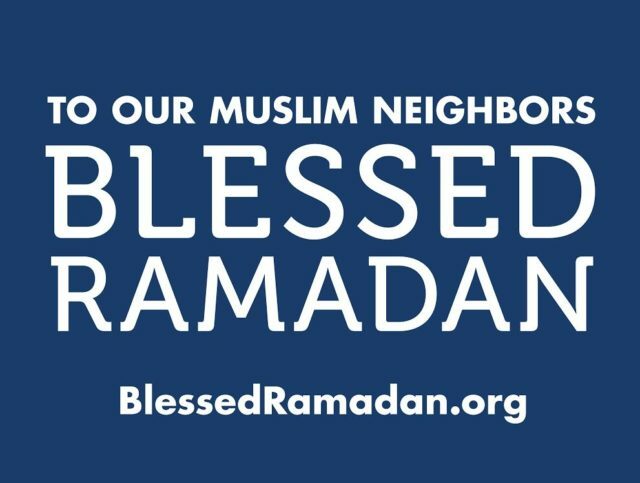 – The Islamic Center of Minnesota (ICM) held a Taking Heart Iftar, in partnership with the Minnesota Council of Churches and the Muslim American Society of Minnesota (MAS-MN). Nearly 70 non-Muslim community members joined ICM members for an iftar dinner and a discussion about important components of Islam and the Ramadan holiday. Dates were provided for everyone to share during the sunset call to prayer. During our discussion, an ICM leader mentioned to me that the center was the first Muslim service/faith organization in Minnesota, created in the late 1970s by University of Minnesota Muslim students from India. – The Council on American-Islamic Relations-Minnesota (CAIR-MN), the largest Islamic advocacy group in the U.S., held a community iftar in partnership with several Minneapolis neighborhood associations, a Lutheran church and Augsburg College, which is within the heavily Somali Cedar Riverside neighborhood. Two hundred Somali-American and neighborhood residents came together for the iftar dinner. 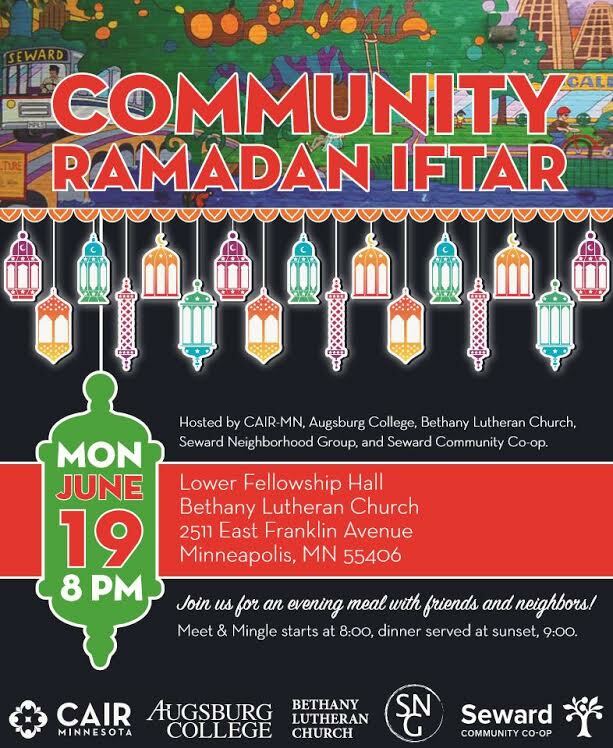 I talked briefly with CAIR-MN executive director Jaylani Hussein who mentioned that the iftar dinner was the result of collaboration and discussions among neighborhood groups. Sambusa (think Moroccan briwat kefta) and Somali tea were a great way to share an important Islamic tradition with the larger community. Hassan Ziadi and his wife, Raja, operate the Moroccan Flavors restaurant in a large retail and culinary souk space called the Midtown Global Market. Now a U.S. citizen, Hassan and I have become friends over the course of the last year. He told me that Ramadan is just as special in Minneapolis as it was in Morocco. 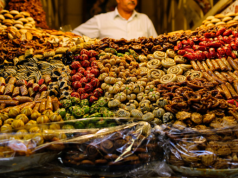 One hundred feet away from Hassan’s restaurant is a souk booth run by Mustafa. He sells Moroccan-made leather and textile goods. Before Ramadan began, we shared some mint tea and small talk about a place we both call home: Errachidia. Over the course of four years in Morocco, I gained a greater appreciation of food as both physical sustenance and as spiritual reinforcement. Breaking bread with strangers in my hometown was a great experience. A community of the faithful and friendly welcoming a stranger into their lives. Just like Morocco.